A couple months after his involvement with the Avengers, Peter tries to find his place in life as both high school student and superhero while battling The Vulture and his gang of alien artifact weapons dealers. In a nutshell, incredibly entertaining! 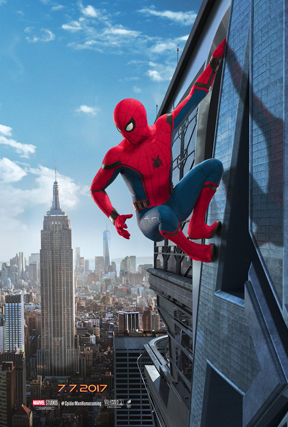 This is the first film to capture the essence of the real Spiderman from the comics. He’s a loveable, dorky, awkward teen trying to work out his new powers. The action set pieces are really good, even the small ones. Tom Holland is great as the lead. He’s the perfect gangly teen. Michael Keaton is a decent villain, although the villain isn’t the strongest part of the film. He does come with a wicked twist though. Peter Parker’s best friend is hilarious! The love story was really toned down and I appreciated that. It was more like infatuation and what awkward teen love is really like. It’s not my favorite but it’s a worthy piece of the Marvel puzzle that you can watch over and over again. Do you ever imagine your book as a movie? That would be fun, wouldn’t it? In thinking what type of movie my latest novel, Princess Breeze, would be like I came up with one of my favorite fairy tales, Cinderella. My story is a Cinderella story with a happy family, instead of a hateful one, like in the fairy tale. Where Cinderella lived with a wicked stepmother and two stepsisters that were mean to her, Breeze lives with her father, mother, and siblings that love her, even though they may have disagreements at times. What family doesn’t? In Cinderella’s story, all the young girls in the kingdom received an invitation to a royal ball at the palace. The prince was looking for a bride. But the wicked stepmother would not allow Cinderella to attend the ball. Here, Breeze’s story differs. When she receives an invitation to visit Prince Cam at his home on the tropical island of Isla del Fuego, not only does Breeze go, but her whole family and two best friends go with her. Also, Cam, the boy she met at school a few months earlier, heir to the kingdom, was not looking for a bride. They’re only fourteen. There is a bad guy, of course, who is determined that he will one day be king of the island, and who is determined to get rid of the prince and Breeze, as well. No fairy godmother saves them. Instead, Breeze and Cam use a legend of the island to help them fight the would-be king. So, Princess Breeze and Cinderella are both stories of a commoner girl meeting a prince and hopefully living happily ever after. Fairy tales do come true. 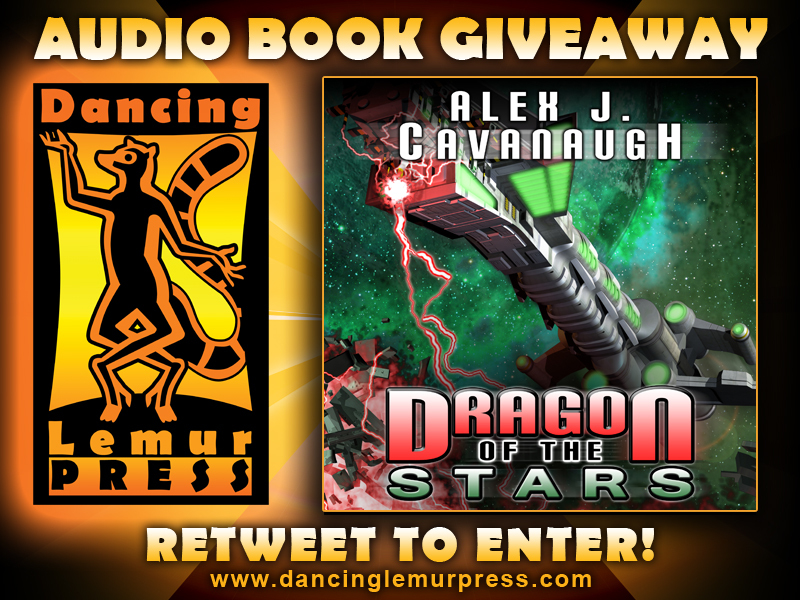 As part of the celebration you can enter the tour-wide giveaway (courtesy of the author) for one of two paperback copies of the book (U.S. only) being given away. Please visit the Rafflecopter to enter. For months, Breeze Brannigan has heard nothing from Cam, the prince she met at school and who disappeared one night, without telling her goodbye. Most of the time, you’ll find Award-Winning Author Beverly Stowe McClure at her computer, typing stories young voices whisper in her ears. When she’s not writing, she’s snapping pictures of wildlife, flowers, and clouds. She’s affectionately known as the “Bug Lady.” She’s not telling why. To relax she plays the piano. Her fur babies don’t appreciate good music and hide when she tickles the ivories. Beverly is a member of the Society of Children’s Book Writers and Illustrators. She also teaches a women’s Sunday school class at her church. The IWSG would like to welcome Christine Rains to the admin team! We are excited to have her on board. Please stop by and welcome her. 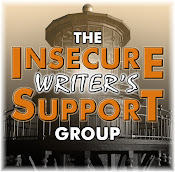 Christopher Votey is our guest this week at the Insecure Writer’s Support Group. He has an excellent article on world building, so check it out. The IWSG’s first Twitter pitch party,#IWSGPit, is July 27! We have a great list of publishers and agents who will be watching the hashtag with many more checking in. If you have something ready to submit, you don’t want to miss this. And if you can help spread the word, we appreciate that as well! You can also retweet the pinned Tweet at our Twitter - @TheIWSG. Edited by Sarah E. Glenn and published by Mystery and Horror, LLC. Yes, it’s a super hero fan’s paradise! Anyone else see Spiderman: Homecoming? Ever imagined your book as a movie? Submitting to the IWSG anthology or participating in #IWSGPit? Picking up some new books? And what super hero film do you want to see most? 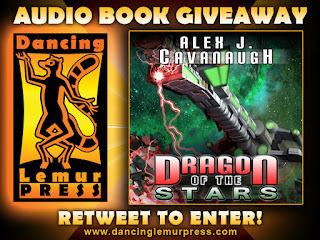 And Dragon of the Stars is the current audio book giveaway from my publisher! Re-Tweet THIS TWEET to enter and to spread the news. Thanks! Picking up new books. I went to a bookfair last Friday and *only* came home with another 20 to add to my unread tower(s). I love that they keep making movies from the Marvel comics. Makes me feel like a kid again. Congrats to everyone with new releases and to Christine for joining the IWSG team. Alex, a special thanks for featuring Beverly's book. Agree with your assessment of Spider-Man, although I think you undersold Michael Keaton. I thought he was incredibly menacing. Also loved the heavy John Hughes vibe to Peter's "out of costume" life and emotional travails. I'm not sure which would be scarier--high school or The Vulture! I like fairytales that are turned around...Princess Breeze sounds like fun. Congrats to all those with new releases! I'm not sure how well my Season Avatars series would translate to the big screen, but it would be interesting to see someone create graphic novels from them. I used to read the X-Men comics (still not sure what happened to my collection), so I'd like to see those, as well as Incredibles 2. Avengers is the top one I'm looking forward to. Only one that sounds meh is the New Mutants. Fox's universe is so F-ed up it isn't funny. Definitely made Spiderman way more fun than the last two lovey dovey, dark and dreary ones. Congrats to all on the releases too. Congrats to Christine on her new IWSG Admin position! I like the Cinderella aspects of Princess Breeze. Spiderman was good although he's not my favorite super hero. Glad to hear Spiderman was good! I am still trying to get to the movies to see Wonder Woman. Hopefully soon! Thanks for reviewing the new Spiderman iteration. It's encouraging to find a sequel that stays close to the original comic character, doesn't dwell on the love story aspect and offers a more honest portrayal of awkward adolescence. Saw Spiderman this week and loved it. My only complaint was that some of the actions scenes (for example, the fight on the plane) were so broken up into one second sequences, it was darn hard to appreciate what was going on. Hooray for another Marvel movie. But we have to wait until November for the next one? Boo! Just wanted to say hi - I don't have a favorite super hero, although I did love Superman as a kid. Not the comic book, the TV show with Steve Reeves. The only comic I read was Archie and Veronica - not heroic and certainly not super! Does anyone not dream of their book becoming a movie? I have some of the stars picked out for my version of Dead Wrong...and for my new book coming in December, I've always dreamed of a stage version featuring only the women in the novel. Pipe dreams, perhaps, but fun. Princess Breeze sounds like such fun!! Saw Spiderman this weekend and found it tedious and repetitive. Quite disappointed. It's easy to imagine any one of my books as a movie. But the reality is something else... :) I need to go see Wonder Woman. Oh dear I am one who is tired of the superhero films, although with all the good things I've heard about Wonder Woman, I do have that one on my list. And speaking of books as movies, with all the wonderful books out there wouldn't it be nice if Hollywood took the effort to find original stories in little-known books to make their films? Some good movies coming out Alex. When are they going to make a movie of the Cassa books? Never read a Susan Kelley book, looks like a good one. I love super hero movies too - have to wait for the library to get them though. I must take my courage in hand and go to matinées on my own. Thank you, Alex, for hosting Princess Breeze and me today. Although the heroes in the story are not super, they do get the job done of fighting the bad guys. My favorite super hero is Superman. I haven't seen any of the movies, but they sound good. I just seldom go to the movies. Elephant's Child, that's a lot! Tim, the vibe was spot on. Keaton was good, just not s super-strong villain. Madeline, the 80's references were good. Ken, I know! Too long. Karen, go see it. Great story. Jo, I'd really like to see one. Beverly, you're welcome! You need to catch up on the new Superman movies. Thank you for the warm welcome. I'm excited to be a part of the team! Congrats to everyone with new releases. :) I did get out to see Spiderman. Loved the new guy as the lead. I even got to see Guardians of the Galaxy 2! I liked that a bit better. I'm not very big on the X-Men, but Dark Phoenix is a great storyline if they do it right. I once had a lovely dream in which my husband took me to a movie theatre and surprised me with a major motion picture debut of my first novel. Too bad I had to wake up from that one! Hank's 2 grandies had seen Spiderman a few days ago. Amazingly it came by that fast to our shores. Hank has yet to see it! 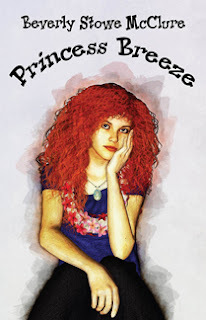 Cinderella or Princess Breeze on the good side is a good twist to the story. Congrats to Christine for making it to the admin. 100% agree with your review about Spider-man Homecoming! It's still a step below Raimi's "Spider-Man 2", but it felt so fresh and energetic! Congrats, Beverly. Always love seeing Princess Breeze! 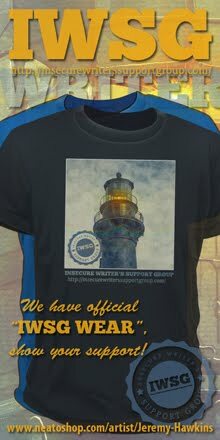 July is a big #IWSG month. Congratulations, Beverly! Sounds like a fun twist on Cinderella. Wow, there is a lot going on this month on the #IWSG front. I didn't know that Michael Keaton is the villain. Now, I'm definitely curious. I think it's cool that we both chose the same picture for our blogs for Spider-Man: Homecoming :))). It's like we were in sync. I laugh about how many of them their are, but I'll still see all of these superhero movies. Spiderman included. And watch the tv shows. I draw the line at collecting the action figures, though. Hi, Beverly! I enjoy Cinderella stories, and I like the twist with the happy family. I enjoy super hero movies because I love the action. Christine, glad to have you! You had a great double feature weekend. Hank needs to tag along next time! George, achieving fresh at this point wasn't easy. Rosey, he is a villain! Bryan, I crossed when I was younger. Spiderman is in the plan for the week- after work one day. Glad it is fun. Congrats to all the authors with new books. I am in summer mode these days. Lots of pool float. Hope you are staying cool! 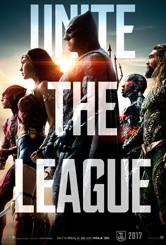 I'm really hoping Justice League will be good. Congrats to Beverly! Yay to Christine for becoming an IWSG admin! Congrats to Beverly sounds like another winner. Congrats on all the new releases. Looking forward to seeing the new Spidey movie. Looks like it is gonna be funny and fun. If I ever do see Spider-Man, it'll probably be on TV. Movies are getting to be too expensive for so-so sees (and that what this is for me and Hubby). I'm ready to see Wonder Woman. Spider Man: Homecoming sounds very well done, though. Thanks for the review, Alex. A great week to you. I'll definitely be at the Thor movies. All of them, as many as they see fit to release. I loved Toby Macguire as Spider-Man, so I was irritated when they did these remakes just a few years later. (Admittedly, Spider-Man 3 was abysmal.) I have no desire to start over with a different actor. It's Batman all over again. Although he's not a super hero, I'd like to see another Sherlock Holmes movie. I think the new Spider-man movie looks great. Probably the closest we'll ever come to a live action version of The Spectacular Spider-Man. Can't wait to go see it. Oh yeah wouldn't it be great to see your book as a movie! Fun to imagine. Congrats to Christine on her admin role and the Twitterpitch is a great idea. Robert, how could you forget? Just toss your wife in the car and go. Cherie, so am I. I've waited years for this film. Robyn, you will dig Wonder Woman. JH, they get it right this time. I love that Beverly's nickname is the "Bug Lady" -- I'll check out her book. And I'm a couple weeks away from publishing my two Charity MacCay novels, but maybe I should participate IWSGPit? If only I could come up with a great twitter pitch! Happy Monday Alex, I hope it was a good one. Congrats to those with new releases. I haven't decided if I will see Spiderman, I may wait for RedBox. I wanted to see the movie Blind with Alec Baldwin. Thanks for the mention, Alex. Really appreciate it. My son saw Spiderman and really liked it. We're all big fans of the super heroes trend. I was also a DC fan when younger but I'll take them all now. I want to see Aquaman:) I think I have to wait a while but that's ok. Spider-Man is very popular right now and they all are saying similar things. I must admit, I'm rather super heroed out at the moment. It's odd as I didn't realize I could get burned out. The Spiderman movie sounds really good. I'm intrigued by the fact that he's a gangly teen and the teen romance is toned down. Congrats to Beverley on the release of her book! I love Cinderella retellings, and this one sounds like an interesting twist. I am a keen follower of Beverly, she and I have folled each other for some time now. Great reviews as always Alex. For once I can say I've watched a film before I've read your review/recommendation :) watched Spiderman last night :D :D great film, very well cast and thoroughly enjoyable. Great to have Christine on the admin team! Ps I know critics smashed Blind, but I will rent it from RedBox anyway. Enjoy your week! What are you currently reading? Congratulations to Beverly. So what's the deal with this Spider-Man. It's part of a new franchise, right, not the one including Tobey Maguire. These series are coming so close together now, I'm losing track! Like you, I'm a big fan of Marvel Movies. Looking forward to them!! Hi Alex, good idea to include the Twitter username (@TheISWG) in this post. I’ve followed and retweeted the latest tweet. Glad the Spidey movie isn't an origin story. Will totally check it out. Princess Breeze sounds kinda cute. Congratulations to Christine Rains on becoming an admin. Strangely Funny IV sounds good. I am so ready for all these superhero movies! Congratulations Beverly! Princess Breeze sounds cool. Congratulations to Christine on becoming an admin! I'm sure you'll be great! Jenni, made the movie much better. Truedessa, a blogger buddy's book. Trying to catch up! I wasn't sure if I wanted to see the new Spidey - there have been so many of them! But it sounds like I should have waited for this one all along, if it's the one that's truest to the comics! I was glad to find out that the new spiderman is not an origin story. That goes a long way for me. I'm looking forward to seeing it. I've missed the last couple Spiderman movies, but really would like to see this one, since I keep hearing great things about it. Alex, we caved and took the whole family to Spiderman. *shrugs* Everyone loved it, of course. How could we not? I loved all the awkward pauses for comedic purposes. I like that Spiderman is a flawed character. It makes him more relateable. Congratulations to Beverly on her book! We appreciate all of you that keep us up and running. I figured you'd like Spider-Man. SO well done. I was really pleased with the way they constructed it and the fact that they didn't rehash the origin story because oh my gosh WE KNOW! Spider-Man was awesome. ^_^ I feel like it's the first movie to show us what life is like in the Marvel Cinematic Universe for everyday people, not just the heroes. Even though Peter definitely becomes a hero by the end. It's totally a superhero fan paradise! I'm looking forward to seeing many of those movies - maybe not all in the theater, but all of them eventually. I'm definitely getting more into the DC side of things these days - Wonder Woman rocked and I want to see the League movie and Aquaman. Congrats to all the authors! Submitted for the IWSG anthology but I tried to go for something slightly humorous and if, if, if I feel like my current WIP is pit-ready, then I'll join in on that. If not, I will wait. It's my own superhero story - "Seedling" - on a larger novel scale for MG to YA readers. I just wish I had the ability to draw graphics because I would love to have a graphic novel + novel combo with graphic novel pages with every chapter and integral to the plot development. Sigh. Dreams. Reality. Heck, I'm a writer. Those are my stock and trade to combine somehow. Sorry for the long comment, Alex. I haven't seen it yet, but hope to soon! They are really pumping them out these days. Deadpool II? Deadpool II you say?!?! gotz to find it, i loved Deadpool!!!! I have yet to see the new spider man, but the kid has some on screen comedy in him as I've seen him in other movies. Congrats to Christine! I adore her. I LOVED Spider-Man. I agree, they finally got him right as the awkward teen he's supposed to be. Oh, man, I loved Homecoming. Easily made my top 5 super hero movies, maybe my top 3. Princess Breeze sounds like a lot of fun! And whoa, had no idea so many superhero movies were in the works. Definitely great news for superhero fans! I like the way Beverly reimagines things. Trisha, it is the best of the batch! Lynda, and you don't need to see the others either. Crystal, glad you all enjoyed! Mason, that scene will be epic. Tyrean, that sounds cool. Hope you participate in #IWSGPit. I read a lot of comics as a kid, but hardly any of them were about superheroes. Still, I've enjoyed watching the movies. They're fun and entertaining, and usually have some great comic lines. I'm looking forward to seeing Wonder Woman. I've heard a lot of good things about it. You can relax now. Yep, I'm finally here with one of my eagerly anticipated comments. Or something like that. Any mention of The Avengers and I think of John Steed and Emma Peel. Thanks for all the links. Of course, I shall be sharing your post and Penny will share it on Twitter. Penny might well have her book turned into a movie. Then again, she has to pawblish her book first. Have a nice weekend, dude. Anyone too slow to escape my take on the new Spiderman has to hear my admiration that Marvel got it right. This Peter Parker seems to be the truest to the comic book. I never bought Andrew Garfield as Peter Parker (Tobey Maguire was decent...except for that horrid third movie). It's not all true to form, though: For example, Aunt May was definitely not a hottie in the comics. Hi, Alex! I can't believe that it's Friday, July 14th. On Monday I was tackling sand dunes, so I'm playing catch up! I haven't been to any movies recently. It's my husband's best friend in San Diego who usually drags Terry (for me) to the movies. Jon did get Terry to take me to "Wonder Woman" which I loved. And we are soon to go downstairs to watch more of "Orphan Black" which I love. But I'll be in Calgary this time next week, and then off to the literal wilds of Nova Scotia. God knows how many hours to the nearest movie theatre. But I have the consolations of lots of wine, lobsters, and scallops. LOL Anyhow, "Spiderman" sounds like fun. Can't help you with the with the IWSG profit book ~ I have never made a dime from writing ~ but ask me if I care! btw, did you watch the CBS pilot "Salvation" on Wednesday? I really enjoyed it, and I am looking forward to seeing the rest of the series. Have a great weekend, my talented friend! Elizabeth - Thank you. I hope Princess Breeze is fun. Diane - Cinderella is my favorite fairy tale. DMS - Thanks. I'm excited to be here to share Breeze's story. Jemi - Thanks. It is a fun story. Kaykuala - Thank you. I thought the twist was neat. clee - Thanks. July is a busy month. T. Drecker - Thank you. It was fun to write. Chrys - Thanks. I like a happy ending. Sandra - Thank you. I hope it's a winner. Helene - Thanks. My nickname is a story itself. Jenni - Thanks. Cinderella is a lovely story. nashvillecats - Thank you. Yes, we have. L. G. Keltner - Thanks. I think it's cool. Heather - Thank you. It was fun to write. Arlee Bird - Thanks. I'm having fun with it. Thanks for the movie reviews Alex! Congrats to everyone's new releases! Nice to meet you Beverly! All the Best! Ooh! I've got to see that new Spider-Man movie! Thanks for the review! I do't watch a ton of superhero movies unless my son is home, but I did love Wonder Woman. I have to tell you before I forget. I just found out there are two movies coming out that I'm dying to see! I can hardly wait until they come out & I can hardly wait to read your review! The first one is by Stephen King & books he wrote. Seven (7) to be exact... called "The Dark Tower" So far I'm on book three... but I do have all seven books. What an amazing story. Love it!!! Now the other movie I want to see is Jumanji 2 which is coming out for Christmas. That was the cutest movie ever and such excitement through the whole movie, but the ending was so cool too! Really a sweet movie with Robin Williams. Loved it! hahaha it truly made me sit on the edge of my seat as "The Dark Tower" did, but in different suspense. So let me know when you see them. I can hardly wait I wish I could see them sooner. The suspense is killing me! WOO HOO! It isn't my favorite Spider-man either. Now why is that, considering that it's faithful to the comics? I think it's because there's no moment of real pain and agony. It's all fun and well-made, but there isn't a single scene in this movie that made me feel for Peter Parker. It didn't make me cheer, it didn't make me cry, it didn't make me feel worried or afraid.